Our decentralized inverter is used in systems which include inverter electronics mounted close to the motor. A wide range of functions and an innovative unit design provide many time and cost benefits for installation, operation and service. Drives made easy! Our decentralized standard inverter MOVIFIT® FC in the classic function level design provides a wide range of drive functions. Everything is possible from simple speed control to the operation of simple lifting axes. Comprehensive safety functions and operation on virtually all common fieldbus systems for use in a broad range of applications. Save energy and operate your plant efficiently. 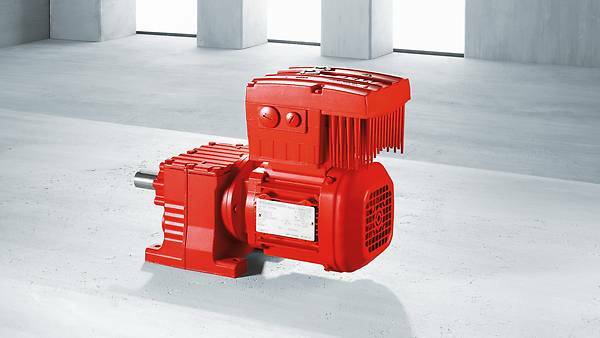 Combine our MOVIFIT® FC with our DRU..J series (IE4 motors) energy efficient motors and an efficient brake control. No startup is needed for simple applications. Simple DIP switches make the relevant settings following which the inverter is immediately ready for use. It is controlled via the PLC using standardized process data profiles. Our "MOVIFIT® Gateway Configurator" provides you with simple configuration and diagnostics options even for more complex applications. Our standard inverter MOVIFIT® FC has more than just internal strengths. The high degree of protection IP65 is standard. Its robust aluminum die cast housing is divided into electronics unit (EBOX) and connection unit (ABOX). A major benefit is the closing mechanism with only one screw and the automatic unit replacement. This enables quick assembly and smooth unit replacement for servicing. Save costs and time on installation as well. The integrated T distributor for energy and communication, the integrated repair switch and digital IOs means that a wide variety of external additional components are no longer required for the installation. 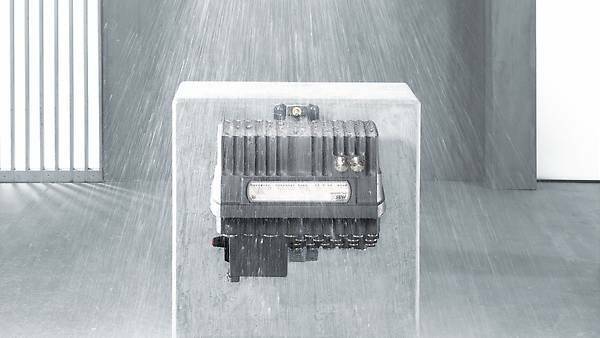 The HygienicPlus design for use in extreme ambient conditions, for example in wet conditions in the beverage industry, are also available as standard. Discover more on this site regarding the connection variants, details about the hygienic design, the safety functions and the functional scope of our associated software (function level). from speed control to positioning of simple lifting axes as well as availability of all common bus systems. 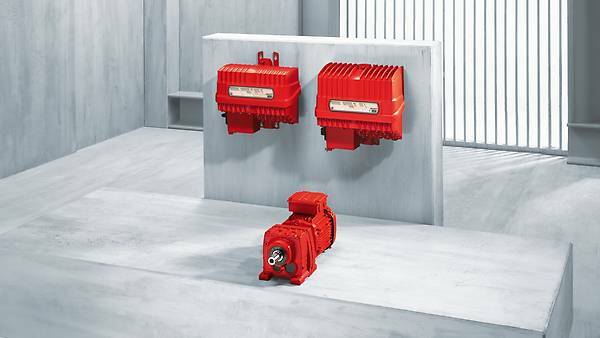 owing to the energy-optimized brake control, operation of IE2 to IE4 motors and saving on external components. due to pluggable connections, configuration via DIP switches as well as an overall concept with only one screw. by means of compliance with certified safety options from secure communication and safe disconnection through to safe motion. due to full pluggability and integrated additional functions (maintenance switch etc.) for simple system planning. All cables to be connected are routed into the ABOX via cable glands and wired to terminals at this point. 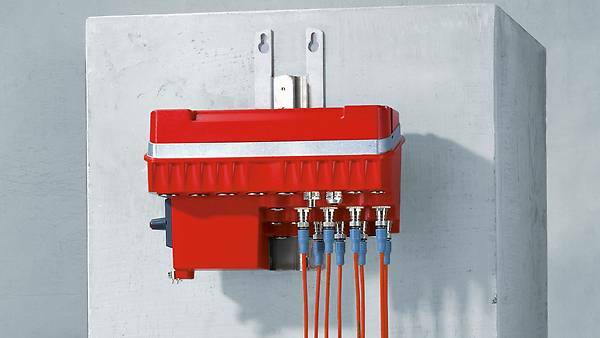 The MOVIFIT® hybrid connection box (ABOX) offers the option of making various connections as a plug. All cables for power supply and the motor cables are routed into the ABOX via cable glands and wired to terminals at this point. M12 connectors are provided for digital inputs and outputs. The bus system can be connected via connectors. The bus connectors vary depending on the fieldbus used. Monitor and react in safety! From safe disconnection (STO) to speed-dependent safety functions (SDI, SLS). 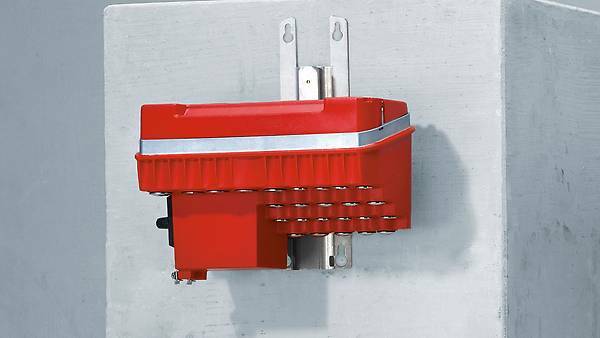 Our distributor is also available in conjunction with MOVIMOT® in various safety-related specifications and options. Functions can be controlled via safe terminals as well as via PROFISAFE. In independent operation our safety options S12 can undertake a local evaluation, processing and disconnection of safety-related signals and functions. 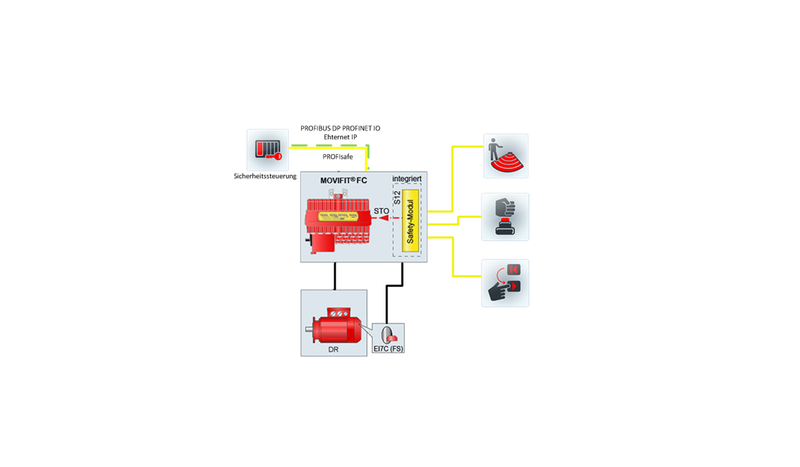 A higher-level safety controller is not required in independent operation. Satisfy the demanding hygiene requirements in the food and beverage industry as well as in the chemical and pharmaceutical industry with our HygienicPlus design. You can upgrade the design of the MOVIFIT®-FC, already optimized for use in the field, and gain the ideal conditions for use in the wet area. Efficient control mode for IE2 to IE4 motors and energy-optimized brake control. 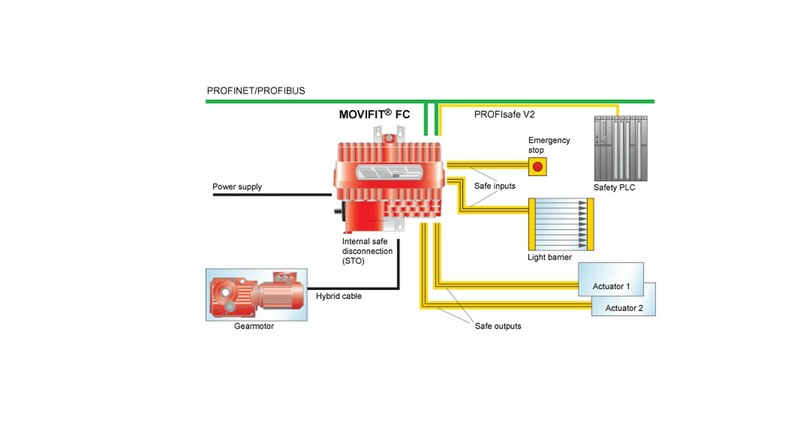 Operate your plant efficiently with our MOVIFIT® FC standard inverter. This can be graduated and scaled according to the requirements of the end customer.